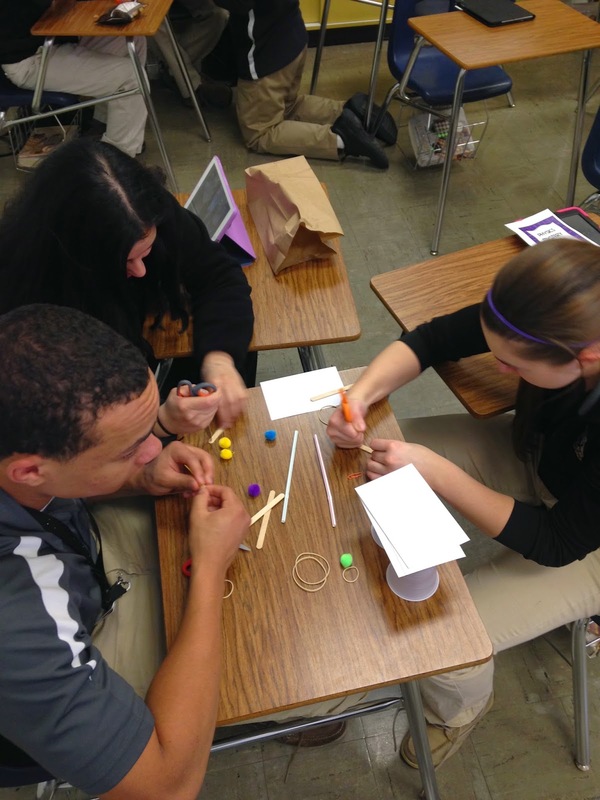 This is a post about task cards and puzzles I have created for my AP Physics class. 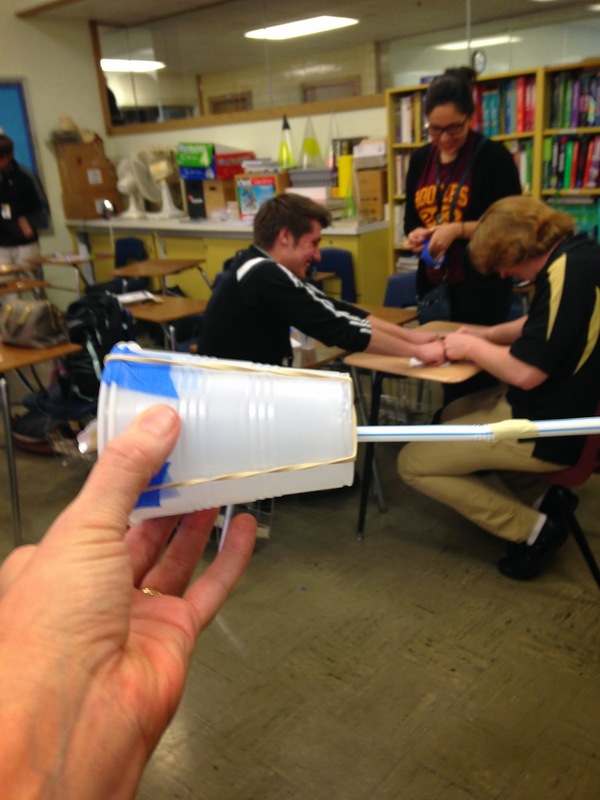 I teach AP Physics - Mechanics. 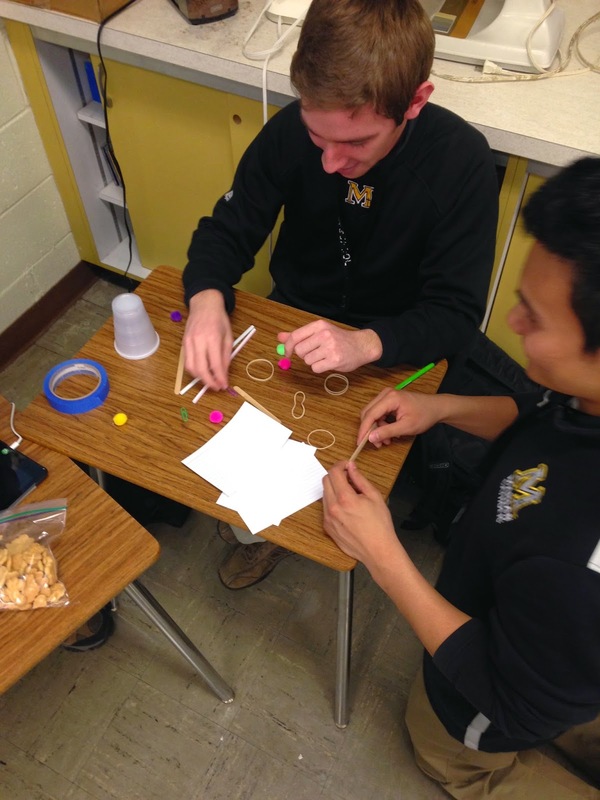 So, these activities are specifically geared for that course, but could be used in other Mechanics courses as well (some could even be usefully in calculus). 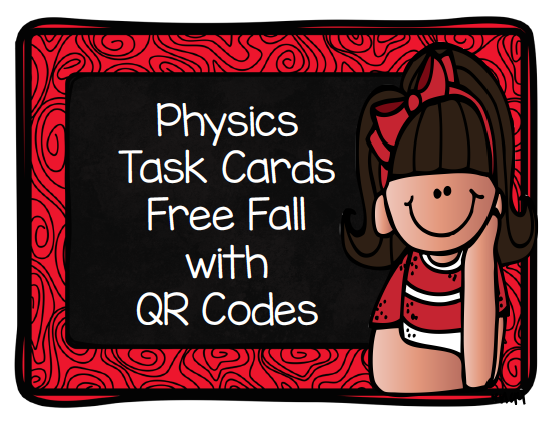 1) Free Fall Task Cards - this is a set of 10 task cards that students can use to practice solving problems about Free Fall. Each task card includes a QR Code that can be scanned so students have immediate feedback. 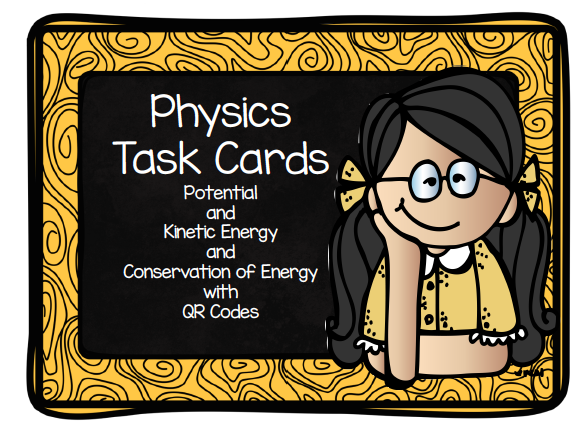 2) Potential and Kinetic Energy and Conservation of Energy Task Cards - this is a set of 12 task cards that students can use to practice solving problems about Energy. 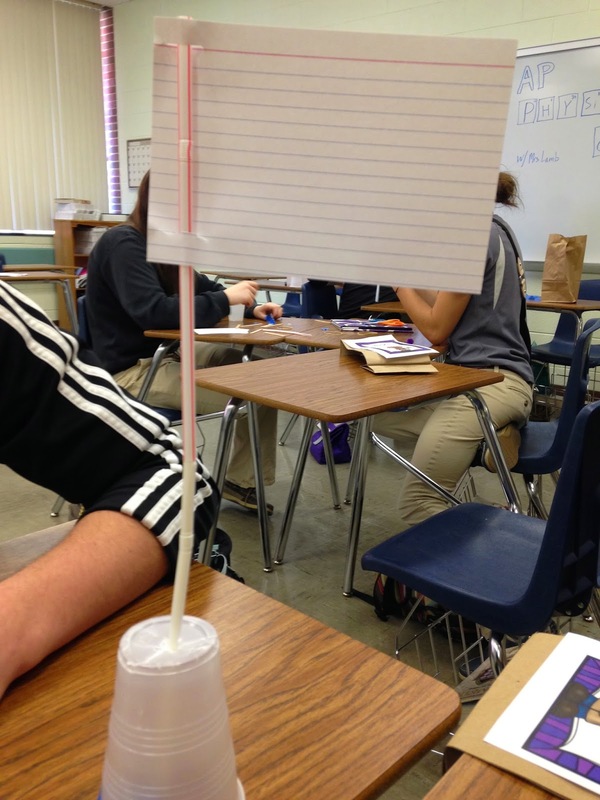 This packet also includes two worksheets that can be used as examples about a pendulum and a roller coaster. 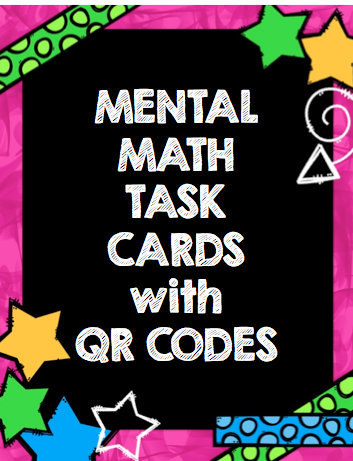 QR codes are included on each task card. 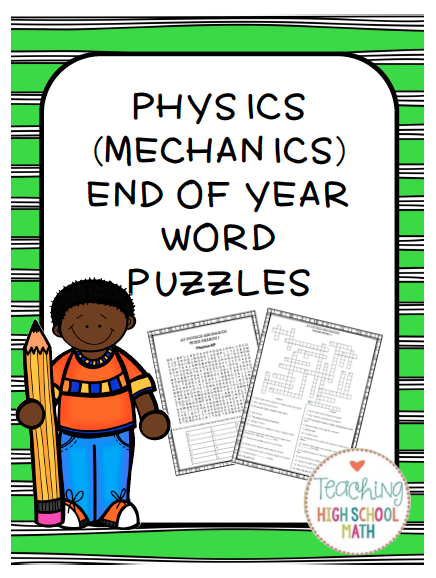 4) End of Year Word Puzzles - do you need something to fill some time or a short sub activity? My students loved these Crossword and Word Search Puzzles. The word search puzzle gives the symbol for various different physics terms and students will find the word that goes with the symbol. The crossword puzzle features 25 different vocabulary words that students should be familiar with by the end of a mechanics course. Start with the number 5. Then they had to enter their answer immediately into a google form. No repeating, no calculator, no pencil…it was a serious recipe for disaster! Quite frankly, I was surprised when I graded the google forms. Students did HORRIBLE! My students are great - the kids are good and they study…but they need help with mental math :) I figure that mental math is like exercise…you need to keep doing it to keep your mind healthy! So, I created these task cards to help. I think they can be used in a few ways. 1. You could use the stack of cards as a center. 2. You could read the directions on each card to the class, and then choose a student to scan the QR Code. (If you don't have a smart device to read the QR Code, no problem, an answer key is included). 3. Give a few cards to each student or group and have them trade. 4. The cards are easy to make differentiable - some are more difficult than others. I envision creating another stack soon that also involves some negative and some larger numbers! 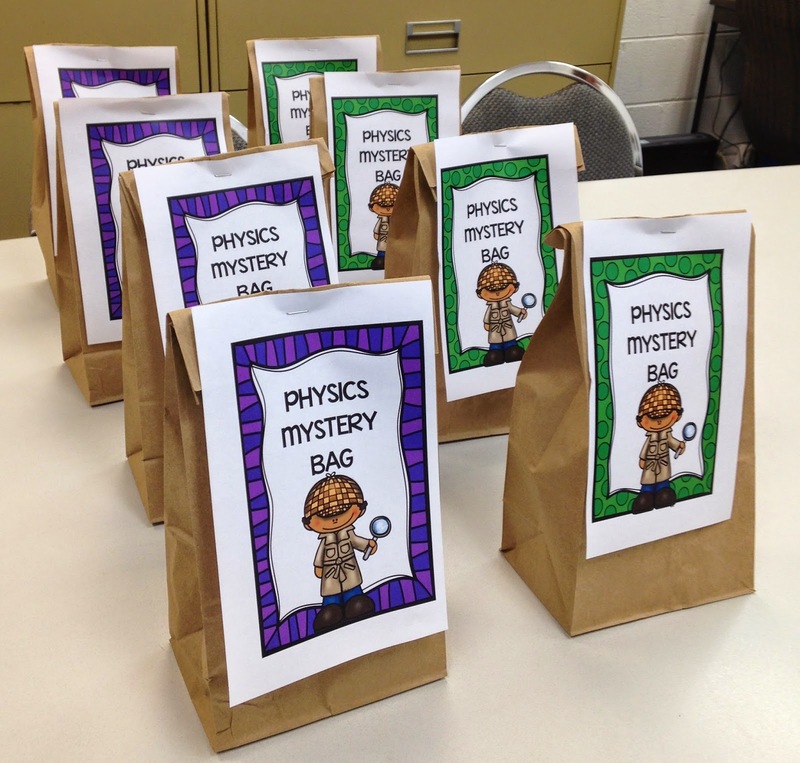 I searched pinterest and websites and came across this website Mystery Bag Challenge. I felt like I could adapt this idea to fit my class. I used the idea from the blog I mentioned and decided to try the Pom Pom Challenge. I liked this activity because I already had most of the materials on hand - I just had to buy the pom poms. The students got right to it and started to think up ideas. As we went along I had to make a couple of rules…you had to actually build something, you couldn't just use a straw that was provided and make something that resembled a pea shooter. 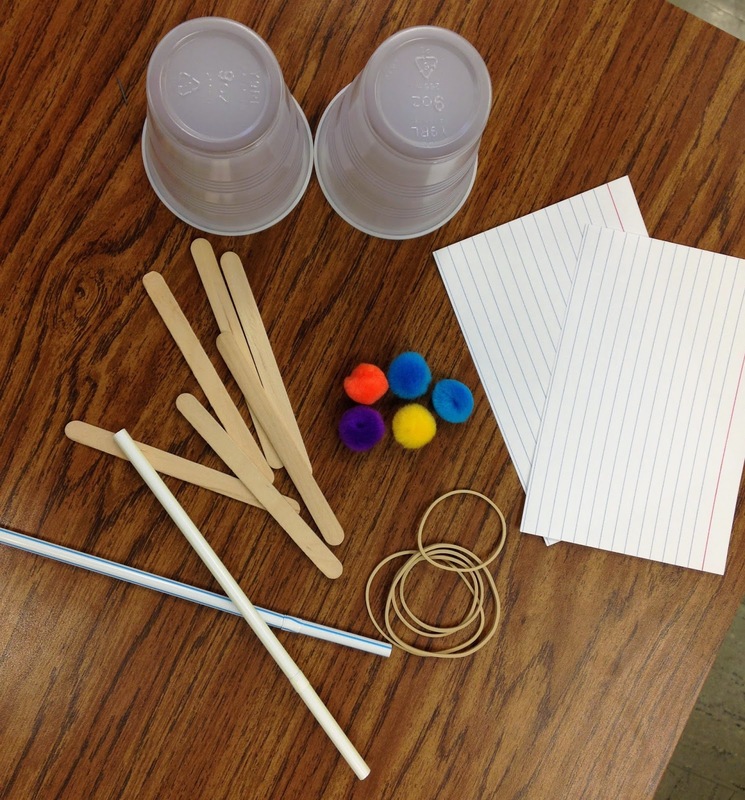 Also, I had to make the rule that the pom poms could not be modified (students want to roll them in tape or attach one to a popsicle stick and launch that). There were a couple of really good efforts!